We appreciate obtaining life insurance can be a worrisome process. That is why we want you to know exactly what to expect. Whether you telephone or schedule an appointment, we’ll listen so that we can understand the particular needs of you and your family first-hand. Based upon your information, we’ll research the most beneficial and cost-effective options for your unique circumstances. Then we’ll put simple and easy to understand recommendations in writing, tailored to your needs. Your recommendations will be emailed or sent by messenger for review. Once you’ve had an opportunity to look them over, we’ll contact you to discuss your options in greater detail and answer any questions you have. Our goal is for you have complete clarity about what your alternatives are, and there is never any pressure. Once an option is selected, necessary medical tests are arranged at a time and place convenient for you. After the tests have been conducted and insurer approved, a contract will be drawn and executed, and your policy will be finalized. Our servicesLife insurance rates are negotiable. Learn what we can offer for you. 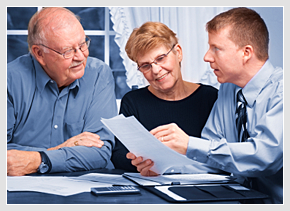 Management Brokers is fully licensed in the State of California to sell life insurance. All Rights Reserved 2010-2017 | Management Brokers NFP Corp. and its affiliates do not provide tax or legal advice. You should consult with your tax or legal professional before entering into any transaction.